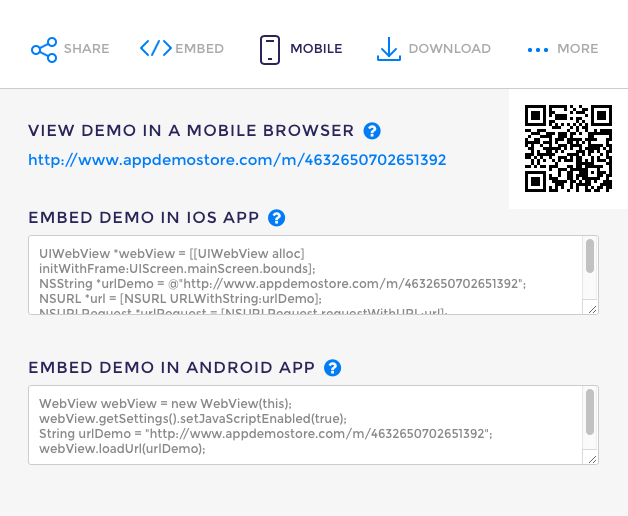 One cool feature of AppDemoStore demos is that you can easily embed them in your existing iPhone or iPad apps. This is an easy way to provide a guided tutorial for your users so they'll quickly get introduced to your app. Click through the demo on the right to see a sample clickable app tutorial for NuVo App. To embed a demo in your app, just copy this Objective-C code provided below to your Xcode project (replace the demo-id marked with red with your own). Alternatively, you can get the code from the Demo Page: click on then click on and copy the code provided there. 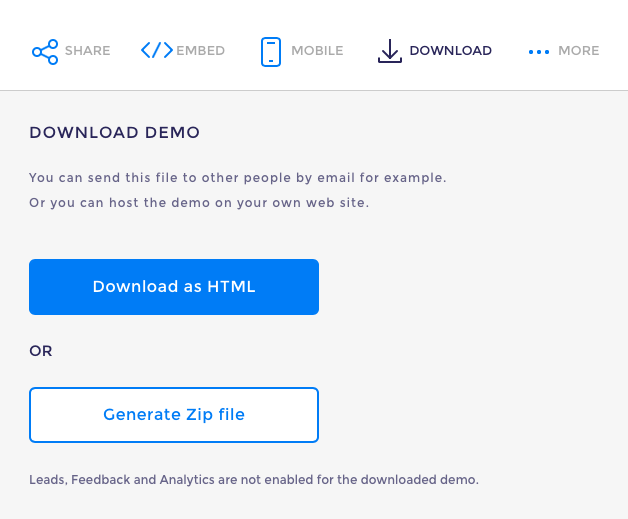 You can download a demo as HTML or ZIP and include it in your app without hosting it on AppDemoStore. This will make sure that the demo will run also without internet connection. The embed code is the same as provided in section 1 only that you just have to replace the link to the hosted demo with the link to the demo in the app project. © 2017 AppDemoStore.com. Simple theme. Powered by Blogger.